The universe is big. Bigger than you could ever imagine. 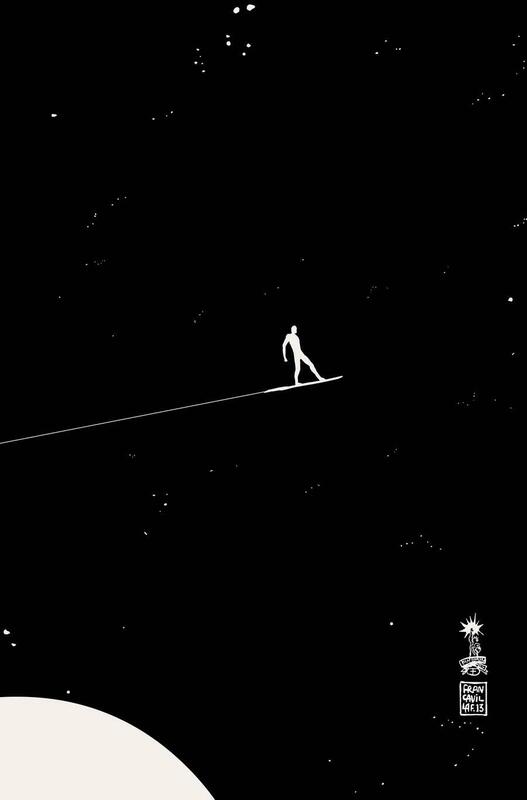 And the SILVER SURFER, the lone sentinel of the skyways, is about to discover that the best way to see it… is with someone else. Meet the Earth Girl who’s challenged the Surfer to go beyond the boundaries of the known Marvel U– into the strange, the new, and the utterly fantastic! Anywhere and Everywhere… Hang On! The first issue of this has worked well for me as an introduction to a character I wasn’t previously that familiar with or that bothered about. It always annoyed me, as a young Spider-Man and his Amazing Friends fan, how similar the guy looked to Iceman (who has, of course, since become much spikier). I understand Slott’s interpretation of Norrin Radd (I know that much!) is a little quirkier than some may be used to, but it worked for me. I know Slott is a massive Doctor Who fan, so it was a little hard for me not to project similarities from the series onto this issue: on seeing Allred’s cover for the first time, I instantly thought ‘Zarbi!’. 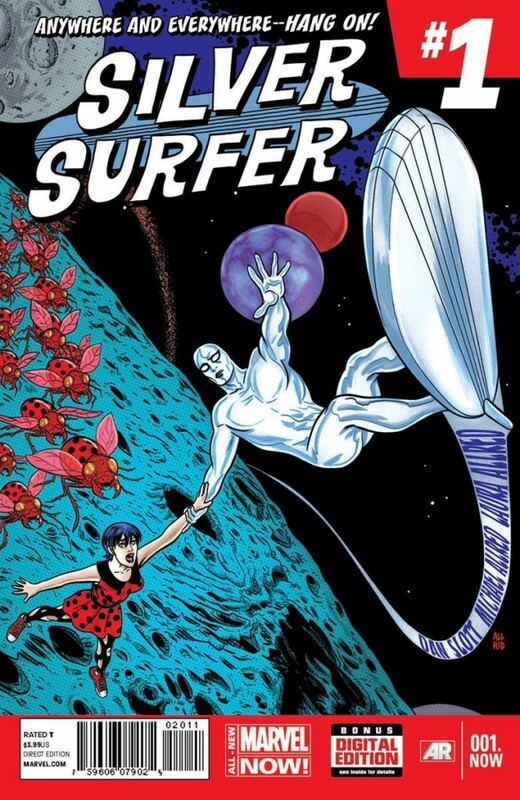 In addition to this the seeming pre-destined fate of the meeting of the Surfer and his ‘companion’ recalls Amy Pond and the tenth doctor – plus, the guy with a couple of mouths in the pic above put me in mind of an alien wheeler dealer of the type that might be seen in background of a Moffatt-era cantina. 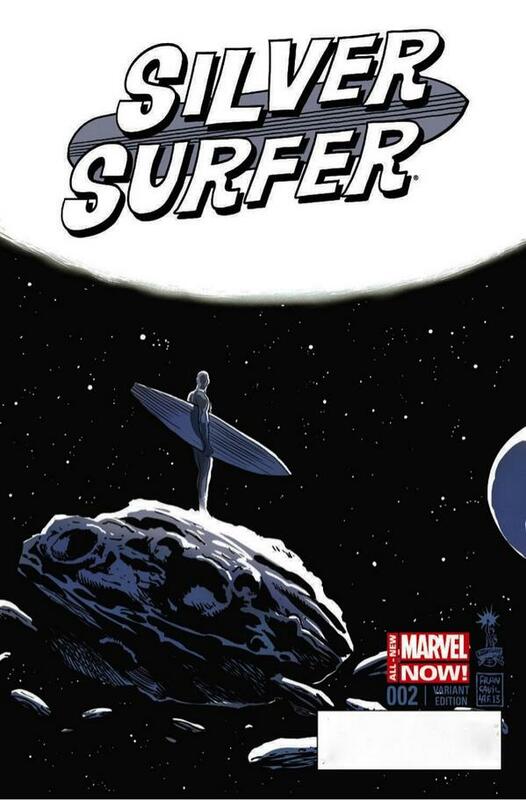 The Surfer’s legacy precedes him too, like the Doctor’s: his name is spoken in whispers and he is feared by most. His resuscitation of a dying sun at the beginning of the story demonstrates his omnipotency is some circles. But that’s just me over-Whoing. The detail on Allred’s ‘impossible world’ is jawdropping. At the regular Manchester comic fair a couple of weeks back I was chatting to a couple of the organisers – one was a big Allred fan and the other dismissed his work as ‘too cartoony’. 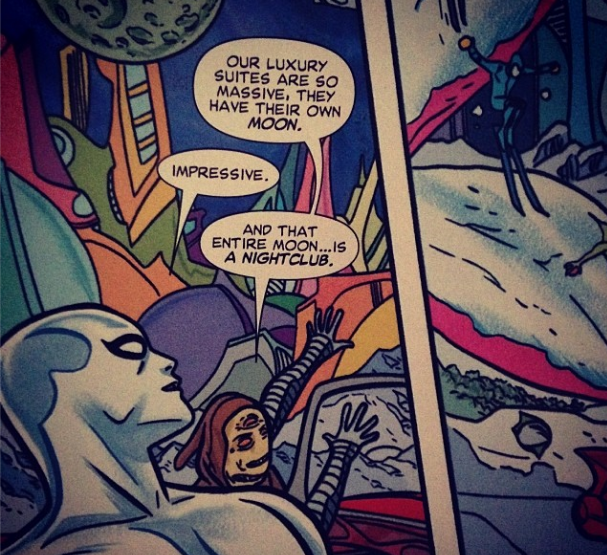 For me, it’s perfect, but maybe that’s because I’ve just soaked myself in his X-Force and X-Statix work recently. To go with Slott, he seems a perfect fit, and recalls Kirby’s spirit without being derivative. 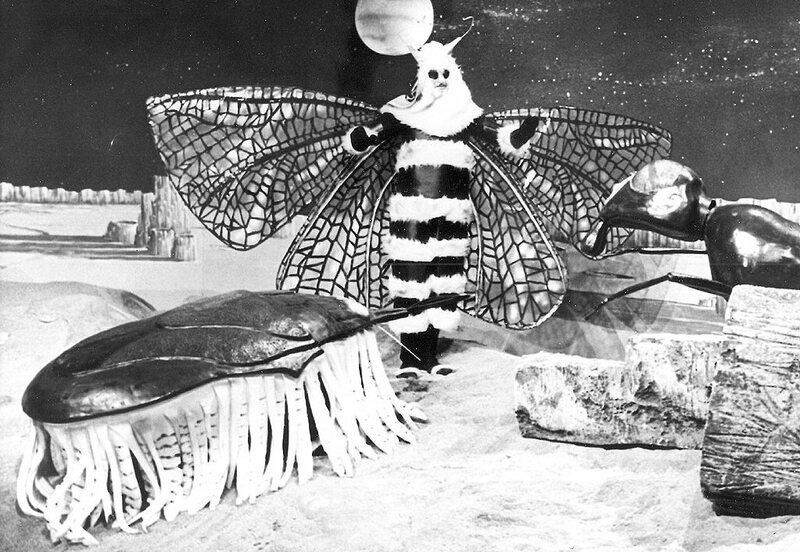 Fifties-styled ‘companion’ Dawn and her world are particularly suited to his style. The whole thing is beautiful. Kashmere: Bang! Splat! – from the Power Cosmic album, available here. And I couldn’t resist posting his variant for #2, too!